The deVere Group. Enough is enough! Readers: If you are looking at pensions can I suggest you read this informative and impartial article first. Also, if you are thinking about talking to this company (or any other company of it’s type) about any sort of financial investment do a bit of Googling for complaints first, do some serious digging before you sign anything with anyone! Caveat Emptor! Alan, along with Elle, is the owner of Spain Buddy. He was born in the North of England (Lancashire) and travelled extensively before eventually settling in Almería. Alan has 3 sons from the first of his 18 marriages, (Sam, Joe & Ben) who are all now adults. You can read more articles by Alan on his personal blog at AlanGandy.com and see more of his photography on his photography website as well as on Flickr and Instagram. Also, for less than the price of a cup of coffee each month you can help support Alan's photography (and get some freebies into the bargain). Click here to visit his Patreon page to find out more. Help preserve the Spanish landscape (and the planet) doing something you do every day! Some quite interesting reading and a collection of links on this page. Amazing what two minute of digging around can turn up….. I understand how cold calls can get very annoying I get many myself however your comment “I know some people can’t get proper jobs and have to work for companies like this” I don’t agree with, a job is a job as far as I can see this is not a boiler room company ripping people off. Well, I for one wouldn’t do it. Boiler room: I’m not so sure having read some of the links one the page linked in my previous comment, stretching the definition a little I know. I wouldn’t deal with them that’s for sure, I’ve seen and read enough that in my opinion they might be questionable. Let me put it this way, our number is ex-directory and also registered with Listas Robinson (the Spanish equivalent of the telephone preference service) they should not be calling in the first place never mind blatantly ignoring repeated requests to leave us alone. Devere does worse damage than boiler rooms. Most people are skeptical of boiler rooms and won’t hand over all their life savings for “investment.” But many are conned by deVere into handing over all of their savings to be locked up for 25 year in high fee funds and completely inappropriate structured products, with high penalties for trying to get out should they figure out their mistake. The damage (amount lost) is far worse than a small punt on a boiler room’s speel. deVere can destroy people’s lives. It amazes me how little research people do on these pension and investment companies before handing over their life savings! I used to think that way too until I met people who had been scammed by deVere and their ilk. Sadly these groups are predatory. False advertising is their standard operating procedure. Expatriates used to a reasonably well-regulated financial services industry in their home country tend to believe the b***sh** of these bastards. I’ve seen too many victims now to think it’s entirely their fault. The regulators need to step up to the plate and start cleaning this up. I wonder if deVere Spain is even operating legally? Pissed off with deVere? They voluntarily offered an email to a friend to complain to. Have fun, will! I work in the industry. Unlike any deVere people I am qualified, regulated and above all else ethical! I am always coming across people who have dealt with deVere, asking me to “right the wrongs”….. which isn’t always possible. They are a disgrace to our industry and I would recommend everyone giving them a wide berth!! If anybody needs further confirmation just spend an hour on the Internet searching deVere or Nigel Green who owns the company. One hour of your time against being financially ruined???? Always worth adding the word complaint or scam in the search, although you will find plenty without them….. even when they pay ££££’s a year to have negative comments about their company removed from the net! Frankly I’d be wary of pretty much anyone operating over here, not just deVere (PB being another point in case when it comes to unethical direct sales). It never ceases to amaze me just how little due diligence people do when risking their life savings. Absolutely. But not just deVere, anyone in the financial services sector should be examined with a fine tooth comb. Devere sound terrible. I feel that if you require any form of financial advice it makes absolute sense to use advisors who are properly regulated in the UK. Otherwise, what protection and peace of mind do you have? I would also personally insist that any such company have a long track record of dealing with ex-pats and of course, do your research before anything! I agree. All of my business comes from referrals from existing clients. If you do the job right then the referrals come naturally. I wouldn’t recommend trusting anybody because they seem to “be nice”. Ask for references, research online and above all take your time with any decisions. The sharks tend to push you for a quick decision. ‘youdontknowhalfofit’ The very fact that you have remained anonymous and made no attempt to ‘sell’ either yourself or company suggests to me you are one of the good guys. Thanks for that. Dave (and anyone else reading): There’s a number of links in the pensions article above to help checking people out. Seems from what I’ve seen they all claim to be regulated. Not that I believe it matters much here, and so many of them appear to be ‘piggy backing’ the licences of other companies. Absolute minefield. As suggested above referrals have to be the best place to start. I work for deVere spain as an adviser and want to give some feedback because I recently lost a potential partner for business seminars due to some bad press relating to deVere and the alleged phone-calls. Some background first and in reply to youdontknowhalfofit ; I have 20 years UK IFA experience, my senior colleagues at deVere and I are all qualified to UK standards, I myself have had FPC for many years and CeMap but deVere insisted I obtain my DipFA or DipPFS and R02, R03 as a minimum before letting me out of close compliance supervision, even then 100% of my cases are checked before business is allowed to proceed. Of course, until legislation improves in Spain, there are no required qualifications. As for DeVere group or deVere and Partners, We are registered both in the UK with the FCA (deVere and Partners (UK) Limited 469151http://www.fsa.gov.uk/register/firmPassports.do?sid=188346) and the CNMV (deVere and Partners (UK) Limited 2297 http://www.cnmv.es/Portal/Consultas/ESI/ESISExtranjerasLP.aspx?numero=2297&tipo=CLP) plus the DGS in Spain (deVere Spain J2807 http://www.dgsfp.mineco.es/regpublicos/pui/pui.aspx) so is one of only two ex-pat adviser firms that I know of that are regulated here in Spain. There are no providers or plans that I am aware of that tie the client in for any more than 5 years, charges are transparent and normally there is no direct charge to the client. Naturally, we have global competitors and we are aware that competitor firms employ staff and incentivise publicists to anonymously churn out negative comments. However, we did operate a call centre and still have a handful of staff making calls to professionals and ex-pats who they have prospected from the internet and local business guides, in the past the Do Not Call system was not as effective as we would like. The objective of the phone-calls is simply to explain about the service with a view to inviting potential clients to seminars or have a no obligation meeting with a consultant, we never transact business over the phone. Should you receive any phone-calls simply ask to go on the Do Not Call list or simply ask to ring with regulatory updates occasionally if you prefer, provide all contact numbers that you wish to add to the Do Not Call list and your number will be added to the system. Also deVere have added a warning on the FCA website, we are aware of a clone firm pretending to be from deVere group making harassing phone-calls. The genuine emails from deVere group will have a ‘-‘ as follows firstname.surname@devere-spain.es therefore I would suggest asking for a confirmation email before agreeing to any meeting or discussion. Finally, courtesy is appreciated and should be expected from any of the deVere staff. Your feedback is appreciated. There is only one thing I will take exception to in your response, no actually two. Both related. Firstly: Your use of the word alleged. This article refers to ACTUAL rather than alleged phone calls received repeatedly over time form you company by myself and my wife. I despise the cold calling nature of your company and as stated will never deal with your company simply on that basis. Secondly: I do not expect to have to contact your company to put my numbers on a ‘remove list’, my numbers are as stated registered with Listas Robinson. I should on that basis NOT receive cold calls.I have REPEATEDLY instructed your callers to remove me from your lists, but still the calls come. Perhaps they do remove them at the time. I stand completely by my original article as it is based purely on my personal opinion and experience. As for licensing etc that you have dealt with in reply to the links. I’m really not qualified in any way to comment, which is why I have published your comment in full and totally unchanged. I trust that you can take that as a gesture of balance, and as your right to reply. Thank you for publishing my previous comment. I agree with you that cold calling, especially when requested not to, is poor business practice however the systems used in most call centres rely on the phone number being added to a Do Not Call list or DNC. Should you receive a call from the legitimate deVere your number will have been obtained through publicly available sources including marketing companies and social media. If you have several phone numbers and send an email to the email address provided you should not receive any further calls. The lady trying to speak over you may have been trying to make that point though understandably you thought it appropriate to cut her short. You have my personal email now too and I would be happy to speak with you directly. Thanks again for showing balance by publishing what is factual information relating to the genuine Devere group and devere-spain.es. You’re welcome. It is only fair… I’m a firm believer in balance and freedom of speech on all sides. The ‘lady’ speaking over me was rude and unpleasant and continued her pitch with any regard for my wanting to stop here. She was an embarrassment to your company in every possible way. I will not spend my time – which has a value – to stop your company or any other pestering me. Can I send you an invoice for time wasted up to now? The likes of Listas Robinson and the Telephone Preference Service in the UK exist to prevent unwanted cold calls. Whilst farming numbers from ‘publicly available sources’ (and adding all and sundry in LinkedIn) your people should be running the numbers they collect past such lists and filtering out my numbers. That’s the raison d’etre of these services. I believe it to be the responsibility of companies like yours who use cold calling techniques to comply with the spirit and any legal obligations of these services. It is not for us, the recipients of unwanted calls, to be asking dozens if not hundreds of companies not to intrude. Despite repeatedly instructing your callers to remove me this has not yet happened. Your calls thus far have been so far at best unwanted and intrusive through to the one described above which was offensive and appalling. I appreciate your comments, but the ‘sharp end’ of your operation is not good in my experience. You obviously are trying to appease me in some way here, but as I’ve said because of this I am not and never will be a prospect for your company. However, that said I’d like to lay down a challenge to you as someone who is coming across as trying to remedy the situation. Are you a gambling man? Here’s the challenge: Can you use your influence (without me spending my time contacting your company for all the reasons I have explained) to ensure I (or my wife) never receive another phone call from your company, no more LinkedIn requests or any other contact? Everyone’s time is valuable including your own, my objective is to give balance rather than appease anyone; deVere as a professional firm don’t want you or anybody else to receive unwanted phone calls but at the same time, communication has to begin somewhere. I personally believe an email or ‘contact request’ should precede any phone-call but my opinion is not important. Our industry and the company I work with is much maligned by individuals or groups who see it fit to generate anonymous, malicious misinformation for their own commercial benefit – you have vented your frustrations in the public domain but you have added your name and your complaint seems genuine. My relationship with a potential business associate has been potentially irreparably damaged as a consequence of some of the comments posted which have been shared directly with me. 1) I can’t prevent anybody trying to contact you via linked-in, you can change privacy settings I believe. 2) Without a list of the phone numbers I cannot prevent calls to numbers deVere do not have registered as Do Not Call. I can make every effort to make sure any email you send to me directly is actioned. Genuinely I can only give my point of view and I understand your frustrations, I do not know for sure that it was the genuine deVere making the calls for the reasons outlined in my previous reply – I will do everything in my power to help you though. You say “seems genuine”? It is genuine. No secret who or what I am. Nothing to do with your business, just pi**ed off with the harassment. I shall continue to report all contact from deVere on LinkedIn as spam. The list of numbers is available from Listas Robinson and the TPS, which your company has an ethical (I’m not certain but also quite probably a legal) obligation to comply with. Which implies that your company does not have a system robust enough to ensure ‘no future contact’. In good faith though, I will mail you personally the numbers and lets see what you can do? Deal? I understand your point of view and of course I will action your email. There was no intended implication in terms of the company systems; I would not gamble against the potential failings of systems in general – I am registered with TPS in the UK yet you wouldn’t believe how many accident or miss-sold PPI claims I am eligible for? All data should legally be TPS screened before calling UK numbers from the UK. Listas Robinson is intended to reduce commercial mail and calls although my personal understanding is that they (Listas Robinson) have no legal standing. Social media changes the legal landscape’ a contact or ‘friend’ is in essence an acceptance to communicate. There is no excuse though for rudeness or harassment from anyone. Back to the issues you have raised. My livelihood relies on integrity and good will, I live in a relatively small community who read comments posted on your site and others like it and judge me at least in part by my association with the company. I don’t want you or anybody else feel they have been harassed in any way shape or form and will action your email tomorrow which should sort the problem.. I would ask that anyone experiencing the same issue you have reported use the email supplied at the start of this post, specify your name and associated phone numbers and ask for them to be added to the Do Not Call list. Also please make a note of any person who tells you they are from deVere, ask them for their email address and it should contain a ‘-‘ e.g. firstname.surname@devere-spain.es. That way we can speak directly to the caller and ensure we do everything possible to avoid future calls. Thank you for publishing my comments. I most certainly don’t have any friends or contacts at deVere. Random attempts to add me via any social media platform are immediately reported as spam. Phone number, ex-directory, always. Listas Robinson, Never allow ‘partners’ and such to email me…. I should be water tight. I do this ‘internet thing’ for a living. I know the law, and I know how it – should – work. It’s only fair. I hope you feel that we have given you reasonable opportunity to answer your critics. I appreciate there are always two sides, and many different individuals in an organisation like yours. It’s for the reader to make their own opinions, not for me to only allow comments from one side of an argument. They sell very high charged savings plans that are not allowed in the UK (Generali Vision Plan) and they have received lots of bad press about this. It’s fair to say that there are lots of buyer beware pointers here. To the Devere advisor – with respect, if you are losing business through bad press, may I suggest that you move to another company? My comments do not represent deVere group or deVere spain e&eo. I will do my best to provide evidence to support to my comments. Regulation and qualifications – My previous posts cover your points relating to UK qualifications and regulations. The sources available to ‘Dig’ generally are at best inaccurate at worst fabricated although on occasion get published in the broad sheets or tabloids. Daily mail: deVere are a global group and have a high profile presence in the world’s press – do any of the other financial advisory firms you know have the same presence? Naturally deVere has attracted good and bad press. https://www.devere-group.com/deVere-News/PressReleaseList.aspx . however the negative seems to be the focus of this board. Panorama – the programme features one incidence of a well publicised case and fails to point out that deVere compensated the clients fully. The incident dated back to the early days of deVere. With thousands of clients and hundreds of advisers, inevitably there will be mistakes however times have changed and the improvements in regulation and compliance systems and controls are there to minimise the risk of mistakes happening. Generali Vision – we are not in the UK. All products sold in any jurisdiction have to be compliant in that jurisdiction – there are multiple providers including Generali, incidentally a leader in their field, and the charging structure can be found on their website. Devere are paid directly by the provider. Relative to the UK the charging structure may be high but appropriate for each jurisdiction. Cold Calling – Covered in earlier posts and historically controls were poor. Summary; The previous comment by Dave Mongomery is an example of the rumour mill in action “They have been booted out of lots of countries including Belgium & Luxembourg” – where is your evidence and is the source credible?. I chose to work for deVere for a number of reasons, including standard of training and support, regulatory status, non-biased charging structure, incredible product range that simply are not available to other smaller firms. The controls in terms of police checks, qualification checks and due diligence is exceptional and with respect, should the negative press have a credible source and evidence, I might consider your suggestion. In the meantime, I will continue to provide an honest opinion. Ex-pats have a tendency to make a direct comparison with the UK in terms of products, charges etc. As an example, UK ISA’s are not tax efficient in Spain and are not available in Spain. The UK have a completely different legislative framework to Spain and the rest of the world where the providers themselves set the charging structure of their products and commission is used to ‘incentivise’ all firms. Devere adopt a neutral approach to ensure there is limited commission bias. 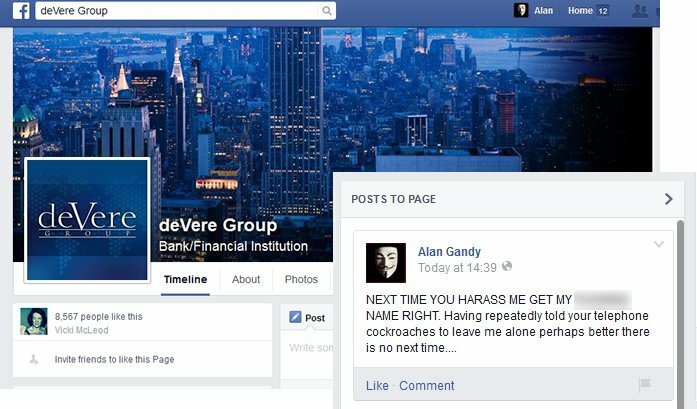 I am interested to know how the Do Not Call system has worked so far – Have you had any further calls from deVere Alan Gandy? Another issue that has recently come to light – Chase de vere and Devere Group are separate entities entirely and have no common link. Much of the negative press I have seen relates to Chase de vere. Hi Devere IFA, your firm has definitely been booted out of Thailand. That I know first hand. deVere in Thailand tries hard to pretend that it has acquired a legal Thai firm. But that appears to be – at best – wishful thinking, and at worst, complete deceit. The acquisition was never approved by the local regulator. Not a single devere “adviser” has a license in Thailand, nor ever has had one. If you have any different information, post it here. I’d be especially interested in the name of even a single deVere Thailand employee that you think is (or has ever been) licensed to sell offshore investments or even give investment advice. None so far…. I’ll be in touch if they start coming again. Let me put some of your wrong/erroneous info right here. Upfront: I am a fully licensed financial advisor in Germany catering to Expats. I am currently helping several of them taking legal steps against DeVere Germany for malpractice and illegal advice (i.e. without proper licensing). 1. In Germany it is entirely illegal to cold-call a private person, either at home or their place of job/business. Not on a reference (which is usually bogus anyway if challenged). It requires the explicit permission of the called person upfront. Still – and in full knowleged of this. DeVEre Germany has regardlessly used cold-calling as the modus operandi and still does. You guys simply don’t care about laws and regulations, that is the simple truth of it. 2. Here in Germany DeVere has no license to offer investment advice at all. The old one run out in July 2013 and you guys could not get a new one as it would require proof of skills as financial advisor for all local advisors. The only thing left in Germany is a license as insurance broker…and this will hopefully soon be terminated by the German authorities. In many other countries you have acted without proper license or bogus claims of licensing. The British FAC is currently looking into this as well according to my knowledge, especially abuse of passporting rights for cross-border activities. 4. Generali Vision is located on Guernsey. They have – as confirmed by the Belgium and German authorities – no license or right to be sold or offered within the EU. Because the EU passporting rights do not apply to them. On top of that German laws (and me thinks EU directives as well) require that the initial costs for such a plan be disclosed in full EUR before (!) a contract is signed. this is never the case when DeVere sells these plans. Which is why the entire sales-process is illegal in Germany as it is (I can’t judge for Spain as I do not know the legal regulation there well enough, but EU laws also apply to Spain, obviously ). The list of countries where DeVere was banned/kicked out is a long-one around the world . I am working eagerly on trying to making Germany the next country where the DeVere sales practice is finally banned. Unfortunately there are so many spin-offs that it is sometimes hard to keep track of all of them. But they, too, will eventually be brought down. For consumers there is only one cause of action: check the actual regulation for insurance or investment advice in the country where you live and do not just trust it when an IFA says so. Check the online registrations lists and make doubly sure you’ll understand the licenses in full. Furthermore, check any quotes you get for full disclosure of costs (i.e. commissions ) involved. If you don’t get transperent information, stay away. Since DeVere and others also often gives wrong information about “tax advantages” of their offshore pension plans or executive investment bonds, have your tax advisor check into this before you sign anything. Don’t do a QROPS without unbiased advice of a licensed UK-based specialist first – you might be losing a lot of guarantees for your pension and exchange it for risky and dubious investments. At least here in Germany the “structured notes” that DeVere loves to put into EIBs and other such products for an QROPS transfer are considered thru a large number of high court decisions as entirely unsuitable for pension planning do to their inherent risk of total capital loss. DeVere’s expansion strategy is mostly/partly by a process of merger or acquisition – that is to say that DeVere will purchase or merge with usually the locally larger established firms and take them on as part of the group, bring in new systems and controls, branding, training and development etc. Unfortunately, despite full due diligence, the acquisition and merger strategy has inherent risks in the sense that by taking on a client bank and personnel in an environment where there are little or no required adviser qualifications and limited regulations, DeVere often also have no choice but to take on the liability for reputation and advice given by the acquired firms current and previous advisers. Regulations in Thailand are far from straightforward, DeVere rely on legal advice from the best in the world but even then, the regulations have to be translated into English language and/or interpreted. Most IFA firms in the UK will tell you that even the nature of FCA rules and regulations are often vague and have to be interpreted by the firm. I can find no evidence to support Andy’s comment ‘The acquisition was never approved by the local regulator’ – You will notice in the case of Thailand, the company name is still Broadgate Investment Advisory Securities (Thailand) Company Limited. https://www.devere-group.com/globalpresence/globalpresence.aspx. Broadgate are registered in Thailand: Broadgate Investment Advisory Securities (Thailand) Ltd is licensed by the Thai Ministry of Finance and regulated by the Thai Securities and Exchange Commission (according to their website). Ministry of Finance no : SD03-0048-28. SEC license no : D06-0048-18. I guess it is possible the Thai regulator did not approve the acquisition but I do not speak Thai or have direct access to the legal team deVere used so I would ask Andy – you stated you know as a ‘Fact’ – are you another one jumping on the band-waggon of deformation or do you have any evidence to support your ‘Fact’ that you (Andy – comment above) ‘Know for a fact’? In the past, DeVere in my opinion have been too quick to re-brand to ‘deVere’. On the reverse, where business levels or demand is low, or regulatory procedures create an unworkable environment (for example overbearing or unmanageable staffing or capital adequacy levels or local government levies where costs massively outweigh potential gains) – DeVere may chose to move out of a location that just simply offers little or no commercial benefit – for example, lack of competitive edge or beneficial terms for the client (such as limited tax efficient product availability or range locally compared to the established private banking sector). DeVere are unapologetically a business and have a general philosophy to be and work with the best in the industry. Many of the blogs are known to have been posted anonymously by former staff; where deVere have made the decision to ‘eject’ or lose some acquired personnel for a variety of reasons, I would expect poor standards or questionable history as some of those reasons. In emerging markets deVere will take on good communicators to train as advisers, usually with client facing experience from consultancy and yes sales environments who are willing and able to travel and live abroad, due in part to the limited experienced personnel available local. I still have ongoing training myself – Devere continually invest in their staff and will train all of them; In my opinion the quality of training is high usually to an internationally recognised standard but local qualifications may not be the typical UK DipFA or DipPFS for example; adequate non the less for recommending a limited range of products (Remember – UK qualifications are only usually relevant in the UK! but a tool for credibility and demonstrable ability, no doubt). UK qualifications may be recognised but irrelevant in terms of some overseas jurisdictions. The advice DeVere Spain gives, even prior to legal requirements to do so, for UK pension transfers, is usually done through a highly qualified team in the UK and regulated in the UK, the adviser based locally, even if highly UK qualified, would simply introduce the pension business. Other firms in Spain have to now use external providers to do the same. Often, take Thailand as an example, especially where no dual tax agreements are in place with commonly used offshore jurisdictions, new products have to be developed specifically for that jurisdiction because the usual international products simply have limited tax benefits, for example due to no dual tax agreements and simply do not meet the requirements for international clients, charges on those products will invariably be more expensive than the UK for example. Product regulations are often non-existent in some parts of the world. Opinion and comparisons are often shared on here but with UK based experience rather than an international knowledge. UK based advisers or former UK financial body examiners who have retired to Spain for example often comment with a UK mentality or perspective – when I came to live in Spain, as a UK adviser I considered ‘naked’ investments to be more appropriate than offshore bonds in Spain due to charges for international bonds (typically around 0.5 to 1% per annum in addition to initial and fund charges) but with local taxation realised that despite charges, the taxation advantages in Spain (limited tax on growth, tax on profit elements on withdrawal as one) offer significant potential benefits for most UK clients who are or will be tax resident in Spain. I do not know anybody personally at the Thailand office and without checking their certificates I don’t know what qualifications they have, I do know deVere will act quickly to be as regulated as possible in any area they cover and use the world’s best legal teams to advise and will suspend operations – by choice to avoid any breach of local or international rules. What I do know is that the compliance and oversight procedures here deVere Spain are 100% as stated in earlier blogs – I don’t really see the relevance of Thailand or other overseas businesses here in Spain other than to fuel a general message that DeVere are the big bad demons of financial services. I gave a link in earlier posts to show our FCA / CNMV and DGS registrations – also there are no complaints registered to the business on the FCA register -DeVere Spain have liability insurance with AIG Europe – these are indeed FACTS. In summary, there are good and bad in everyone but it would be wise to get out of your UK mentality bubble – YOU ARE NO LONGER IN THE UK (unless you live in the UK – sorry, did not mean to exclude you UK readers x) – I would strongly recommend 1. Speak with an adviser based in the country that you are or will be tax resident (remember in Spain if you are here more than 182 days, in most cases you have an obligation to pay tax in Spain and become tax resident by default). 2. Ask for and see evidence of qualifications and/or evidence of training or experience from any adviser or firm you speak with – (New starters have to start somewhere and may be under supervision therefore request evidence of supervisor qualifications) 3. Work with a company that is registered and regulated locally and where appropriate with the UK FCA too 4. Has financial ability and appropriate liability insurance to make financial redress to mistakes if and when they are made. 5. Base your choice on FACTS relating to your country of residence. 6. If you have any concerns about the nature of initial contact, have the courtesy to think of the person making that communication as a person; allow them a minute to deliver there message and communicate politely with them 7. Listen to the people trying to help you – you may learn something you didn’t know before and you may gain some value at the expense of a small part of your valuable time (Not just yours Andy but everybody). Talking of time, I am going to sign off from adding to the this thread – I have provided my personal email to the site owner, have directly addressed his issue with deVere Spain to the best of my ability and I am genuinely interested in providing balanced feedback or assistance to any of you resident here in Spain. I would urge you to contact directly any firm that you are unhappy with and help them to help you. As one final note: You should expect courtesy from the company too, Alan Gandy felt one lady in particular was rude which is simply unacceptable to me, never mind deVere. I will personally assist anybody where they have experienced anything other than professionalism from anyone associated with deVere Spain because my business depends on it, I also know I have the backing of a fantastic team who will assist me to assist you. I have extended that courtesy to Alan and will do the same for any individual or collective with genuine gripes. 1. I do not know the laws of Germany so cannot comment re ‘cold calling’ or unsolicited introduction mail/email – maybe you would kindly send a link to current laws I will do some research myself or forward to me via the mediator of this thread – Previous comments give my view on the whole ‘cold calling’ issue. For a balanced debate where possible I will provide support for my comments, all of the blogs out there make spurious claims – I don’t know whether they have any foundation but they all share one thing in common, they fail to provide evidence and other IFA’s are quick to fuel the fire. I appreciate Pat, you may have evidence that you cannot provide on a blog but feel free to pass on any via Alan Gandy, the site moderator – The worlds largest firms work with deVere and would cease to do so I would imagine if what you are saying is true – I would move away from deVere if I found hard evidence that what you say is true but I can’t seem to find any. Now I really have to get on with some work…..thank you again Alan for posting my replies. My comments are my own opinion and views and not approved by DeVere Group or DeVere Spain e&eo. No doubt, being a large firm, deVere will have some. —-and then you see a pattern. One time could be a simple mistake or oversight, twice would call for a very serious review of compliance procedures in the company. This often shows: DeVere does not care for license. Again, this does not look like a single individuum overstepping the line but like a special climate at DeVere. your 5: I am not doing DeVere’s homework. Selling structured notes in Germany requires a banking license which they don’t have. Selling them as part of pension plans is liable for malpractice claims – DeVere would lose every court complaint about this, especially if prior dissolving a safe UK company pension scheme. Securities Law in Thailand is in fact quite straight forward and readily available in English. If deVere had any difficulty in understanding the English, it could have contacted the SEC (regulator) directly years ago (as I have) and gotten clarification on any point. Or if deVere preferred it could have consulted with any international law firm such as Baker McKenzie or Clifford Chance and gotten clarification. deVere instead side-stepped the law entirely and set up an illegal entity selling offshore products to expatriates in Thailand. As it became clear deVere would run into trouble, it announced that it had taken over Broadgate. It’s very easy to see that the Thai takeover deal wasnt’ approved and didn’t go through. Just check the Thai SEC website – it’s all there in plain English. Broadgate is still owned by its original shareholders. 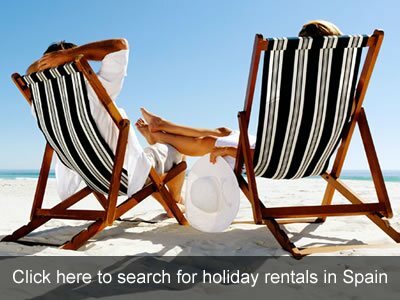 None of the deVere salespeople have licenses in Thailand – just do a simple search. Sorry to burst your bubble. In Thailand deVere has been breaking the law. That’s why deVere is on the Investor alert list. It doesn’t own Broadgate. That’s why deVere is not listed as a shareholder of Broadgate. No deVere personnel have any licenses in Thailand – that is why if you search for any of them by name they do not come up. The Thai SEC has started to file criminal complaints against people giving advice in Thailand without licenses. If nothing else, I hope that clarifies things for your company and its personnel operating illegally here. I do not see what this has to do with Spain, I acknowledge the articles have some sensational commentary but you have not provided any evidence to support your comments. You have made sweeping assumptions and claim to have evidence when all you can produce to support your claims are broad sheet headlines knowing that readers see the headlines but rarely read the complete article. 1.2. 4 Where is your evidence of any high court rulings against deVere, any evidence of outlawed products or incorrect registrations, or any reprimands for cold calling that you say you have first hand knowledge of? deVere Germany GmbH is registered in the local court of Frankfurt am Main under HRB 55281. It is registered with the insurance broker register (http://www.vermittlerregister.info registration no. D-8HD0-NHM21-08). deVere Germany GmbH has a license according to sec. 34d German Trade Act (insurance broker), supervisory authority: Industrie- und Handelskammer, Frankfurt am Main, Börsenplatz 4, 60313 Frankfurt. Can you provide evidence e.g. copy of the law or a statement from a governing or regulatory body that proves the above licence does not meet German licencing requirements. My objective again is to provide balance. What does a sexual harassment case based on a singular accusation in the USA have to do with Spain?? deVere have hundreds if not thousands of employees – statistically 1 in 1000 of any demographic could be a bad egg – of course the article you posted states an allegation without evidence. I can’t comment but I know I did not take part :) and I accept deVere will attract news, good and bad. Thanks again to Alan Gandy for publishing comments without prejudice. (My comments are my opinion and not approved or shared by deVere group or deVere Spain S.L. e&eo). And as I said before, there were issues with clone firms pretending to be devere, deVere have published their own response to information on blogs available on the deVere website. Maybe in the past deVere screwed up – I don’t know. I don’t really know the situation in Thailand however the regulations in Asia have improved in recent years – I still have not had any evidence that the Broadgate purchase was turned down by the regulators – just blogs. My experience of DeVere Spain is nothing but professional from an insider point of view and my personal impression of the group as a whole is positive. Little confused by the last post by DeVereIFA as the points about regulation have confirmed what Patrick stated. @Christopher Lean – Hi Christopher, again this is a post for Spain but I am intrigued: Answer – not at all – I have posted deVere’s permissions in Germany, they are licenced under pass-porting permissions for investment advice and under local arrangements for insurance products – Are you saying the permissions are not correct? please provide evidence – I cannot find any information to confirm that their permissions are not adequate for Germany? Kindly note that deVere also has its registrations added to the ESMA (European Securities and Markets Authority) in preparation for MiFID 2 (Markets in Financial Instruments Directive II) currently being updated by the authorities. MiFiD amendments were valid from 2007 and new proposals MiFID 2 are due in 2017 for those of you who are interested. Goodnight and thank you again. All the original shareholders are listed, not deVere. You’ll find only one person, a Thai national, who is licensed and working for Broadgate. No one from deVere. You can also check out the type of license that Broadgate has. Even if deVere did acquire it (which it did not), Broadgate is not authorized to sell offshore insurance wrapped investments to Thai residents. This is essentially how deVere’s earns its revenue, or am I wrong and your firm does something else? Meanwhile, deVere Group and deVere & Partners (Thailand) Limited have been on the Thai SEC’s Investor Alert list since 2014 :http://market.sec.or.th/public/idisc/InvestorAlert.aspx?lang=en&reportcode=PP07&table=T01 The website the SEC lists is your firm’s website, not some clone firm. If deVere still has any doubt about Thai securities law and for some reason doesn’t want to speak directly to the Thai SEC (who speak perfect English), as I suggested before, try hiring an international law firm with a Thai office like Baker & McKenzie or Clifford Chance. Their lawyers are fluent in the law and in English. As Pat notes above regarding Germany, selling risky offshore structured products inside people’s pension plans is not a practice that would be acceptable in Thailand. deVere nor any firm would not receive a license to do this. By the way the law in Thailand has not changed recently. The SEC Act has been in place since 1993. It is only in recent years that expats have begun to complain and give evidence to the Thai SEC. Sadly all too many expats were unaware of their protection under Thai law and many departed Thailand without filing a complaint. That has changed, not the law. I am just following this discussion, nothing else. I simply said I was confused as you and Patrick refer to the same types of licences, albeit from a different angle. The permissions are what they are and they state what activities they cover. If you have an establishment of a branch passport ( as above ) from the FCA, then the staff in Germany would be covered to give investment advice. If I am reading this incorrectly, then I have no issue with someone clarifying this. @Andy – as I said before, my interest is in Spain, all I know about Thailand please refer to previous posts. More than happy to give you the evidence and proof that you seem not wanting to ackknowledge. And yes, I am talking about Germany and other countries (mainly EU memberstates) where DeVere blatantly violated regulations rules and consumer protection laws…but this is mainly to underline that this company is not the great international financial advisor you try to paint them. As to the legal situation in Spain, I do not know – but will inquire as I have years of experience in finding out what lies behind the typical smoke screens put up by the likes of you. – careful reading may be helpful before you try to twist my words around in order to muddy the water: I have not claimed that there are high-court decisions against DeVere in Germany (yet). What I have claimed – and everyone with just a little bit of German and some Google-capacity can find out – is that structured notes are not suitable for pension planning by German law. Here are just some such examples of court decisions by the German BGH (Federal Court – highest level below Supreme court). This list could be continued at nauseam. This is why strcutured notes are not suitable for pension planning, least of all for QROPS. – Licenses of DeVere in Germany: thanks for posting the link to the public registry of the FCA. Now everybody can see that you either have no clue about what you say or simply try to mislead people. Both passporting right for Germany are cleary stated as Outward Services (both for insurance IMD and financial advice MIFID). Outward Services means DeVere UK has only a permission to offer cross-border services, meaning you can advice people/clients in Germany FROM your UK office by phone or email or the odd short visit in Germany – but you are not allowed to run a branch/estbalishmend in Germany under this permission. However, DeVere Germany is a Germany based corporation and DeVere website claims to have offices in Frankfurt and Hamburg (and used to have in Munich). Several “advisors” of DeVere are locally present permanently (and claim do be so) for many years already in Germany. this clearly has nothing to do with “Outward Services” but would require “Outward branch”. And the FCA makes explicitly clear that you have to apply for the right form of what you want to do under the freedom of services. Consequently DeVere is misleading the FCA about their activities in Germany (and other countries) by using the weaker/cheaper passporting rights of “Outward Services” instead of “Outward Branch”. Again, this is no rocket science and DeVere cannot claim ignorance here. In Germany there is DeVEre Germany GmbH. It was established in 2009. For years it only had a license for financial advice under provision § 34 C GewO from IHK Frankfurt. At the same time it was giving insurance advice (most offshore pension plans are life assurance products and require thus a license for insurance advice) in Germany without proper licensing, claiming to be under Belgium license. The Belgium authorities gave us in writing that this was incorrect. Ever since March 2013 DEVere Germany has now, as you correctly state, the relevant license for insurance advice under § 34 D GewO from the IHK Frankfurt. Which shows also that all the time before DeVere Germany was acting illegally when offering insurance advice. But since July 2013, DeVere Germany is without license for financial advice. because ever since investment advice requires a new license under provision § 34 F GewO. Which requires among other things proof of qualification of each advisor and person residing in Germany to offer financial advice on behalf of DeVere. A simply glimpse in the online registry in Germany for that will show the lack of this important license. Consequently DeVere advisors in Germany are not allowed to offer any investment advice at all – and clients foolishly enough to take such advice have no recourse to an indemnity insurance as required by law. For a market that DeVere has claimed to be very important like the German one, this is one very poor compliance of the laws in Germany – which are there for consumer protection, mind you. Now, for any advice on structured notes, a special banking license is required under German law – because these are, as expressed above, high-risk investments. This license is § 32 KWG and and DeVere Germany has not such a license either. So any advice offered in Germany including structured notes is massivly illegal. GEnerali Vision: as said above: The beloved cash-cow of DeVere for “pension planning” is the Generali Vision plan because of its high initial costs which convert nicely into high commissions. Generali Vision is a product of Generali International Ltd. which is located in Generali House, Hirzel Street, St Peter Port, Guernsey, Channel Islands. Since the Channel Islands are not part of the EU, they would need to apply for a license in at least one EU-memberstate and then might possibly passport into other EU-memberstates. This never happened. Consequently the Belgium authorities informed us that the sale/distribution of Generali Vision is illegal throughout the EU as no such license was ever granted. And the Ombudsman in Belgium informed a client that because of this no indeminity insurance would step in to pay out in case of malpractice even if and where DeVere might have a correct license as insurance intermediary. Under German consumer protection laws, clients have to be informed about the costs for an insurance product in full EUR with the quote. I have never seen such a legally compliant quote by any DeVere “advisor” in Germany…and I have seen plenty. Which is understandable because no-one would sign a 25-year duration plan with Generali Vision if he’d be properly informed that the first 23 monthly premiums (and what amount this generates) are entirely going into costs/commission and will thus be lost if you need – for whatever reasons -cancel early. – DeVere UK has no license from the FCA to offer advice IN Germany thru a branch/establishmend as shown on the FCA registry. -DeVere Germany did not have a required insurance intermediary license for 5 years of its activities in Germany, falsly claiming to be under Belgium license. It has now since March 2013 a license as insurance intermediary but NO license whatsoever for investment advice in Germany, especially not for structured notes. – German courts have ruled often and all the way up to the BGH that structured notes are high risk investment and thus unsuitable for pension planning and conservative investors. I don’t believe that other EU countries will have a much different stance on that. – Generali Vision pension plans are not licensed to be offered in the EU as they are located on the Channels islands which are not part of the EU – hence no passpoprting rights are available but rather a formal license must be obtained by at least one EU memberstate. Last but not least to show how inadequate advice by DeVere at least in Germany is: DeVEre advisors in Germany have sold and still are selling EIB (Executive Investment Bonds) from Old Mutual and other similar products to residents of Germany, claiming it to be tax efficient and helping to save taxes in Germany. The contrary is correct as many DeVere clients just found out to their horror when audited by German tax authorities. Because the life assurance umbrella of these EIB is offering insufficient risk-coverage for death under German laws, they fall under what is deemed “transperent taxation” in Germany. I.e., profits from selling funds or matured structured notes have to be reported for taxation in every calendar year. All thos resident in Germany who believed in DeVere expertise are now facing serious penalties for tax evasion for the past years when they did not report these profits in their tax declarations. Great job, you guys ! Anyone wanting to have a clear pucture of what DeVere has been doing and is still doing: please check “pissedconsumers”, search for DeVere and scroll by their blanket ” we are good and did not wrong” comments down to the complaints. It will open your eyes. @Andy – Why do you persist on Thailand? some of your information appears to me to be incorrect – here is the SEC registration clearly showing the permission for investment advice AND the shareholders. Please may we stick to Spain . If you quote legal documents, please make sure you understand what they mean. As your quote from MIFID directive clearly shows, there is a difference between estbalishment of a branch or free provisions of services. Both passporting rights can be applied for with the FCA, but they trigger different responsibilities to the host country and its regulation. So, to make this finally clear again: DeVere UK has not a license to offer advice in the form of branches/establishment in most EU memberstates. It can only offer advice FROM UK into these countries as a cross-border service. PS: since you are insinuating – a typical DeVere spiel, by the way – that I have “business interest” in spreading this info about DeVere: while I do offer full-fledged holistic insurance and financial advice to Expats in Germany, I do not offer ANY of the products that DeVere loves to sell here. Because they make no sense to residents of Germany, are far too expensive and simply unsuited for the vast majority of Expats in Germany. Therefore we are playing on totally different levels here and I don’t count sales-organisation like DeVere as a competition at all. I am just sick and tired by their constant and blatant abuse of laws and consumer protection rules in Germany. that’s all. This is about deVere’s business practices. Many locations have been brought up as part of this discussion. I happen to know a lot about Thailand specifically. I am very happy to share my knowledge about what I know about Thailand in exchange for what others are posting about other countries. Yes, the link you posted shows clearly the shareholders of Broadgate. Look closely and note that the shareholderrs are not deVere. They are the original shareholders of Broadgate. as expkained above, Chris: DeVere UK has only passporting right INTO Germany for cross-border services. The passporting granted by the FCA is for “Outward Services” only. Hence the established branch in Germany is not covered under this license at all. That would require “outward branch”, which DeVere has for a few EU-countries but certainly not Germany (as both the FCA registry AND the BAFIN (German finance authority) registry show. Since DeVerer Germany GmbH is a legal entity under German law the prevailing opinion amongst legal experts is, that it would not fall even under “outward branch” either – but I would allow for some legal interpretation room here. Yet, since there is no passporting license for “outward branch”, it is rather an academic question in the end. DeVere Germany has a German license as insurance intermediary (which shows that they, too, believe in the need for local licenses) but not for investment advice. Consequently all Germany based advisors offering investment advice are doing so illegally. Period. now I just wonder when Andy is going to get the usual threatening letter by DeVere lawyers to erase this thread at once…. because this is what they usually do (as I could see both in Germany at Toytown and Switzerland (Expat-Forum) in order to avoid that negative but factual information can be found in the internet. Patrick, thanks for the clarification. I merely referred to the links that deVereIFA provided himself and your comments which, as I said, appeared to confirm the same thing. I could find no evidence of an outward branch on the FCA website. Please be respectful, I am not attempting to muddy any waters I replied to all of your comments with evidence from credible sources. To ensure my understanding is correct I have also written to the FCA for their confirmation to add to the factual evidence I have provided. Patrick to say that structured notes are inappropriate for pensions in my opinion is narrow minded – several structured products with Morgan Stanley, Goldman Sachs, UBS etc. offer capital protection, deep barrier and quarterly income, yes returns are subject to the providers solvency – should two of the world’s largest e.g. Morgan Stanley and Goldman Sachs collapse there would be far wider implications for all; to site the collapse of Lehman Brothers as justification for high court rulings involving deVere is pretty tenuous don’t you think? – any reasonable IFA would recommend provider diversity to minimise exposure to the collapse of one institution which is clearly an inherent investment risk. Have either of you a copy of any letter from any solicitor acting on behalf of deVere, really? QDeVereIFA: I am not sure if you really do not understand what you write and quote here and thus just preach what you have been (falsly, I must add) told or if you just try to “muddy the waters”. Either way, you are wrong. I have asked the British FCA in Spring of this year if DeVere UK (and a few others I don’t want to name here who act similarily ) who has only passporting rights into Germany by “outward services” are allowed to run a branch/estbalishment under this passporting licenses. So, sorry mate – you are utterly wrong. Nothing has change in 2011 which would suddenly allow you guys to run a branch in Germany outside German rules and regulations AND without proper authorization by the British FCA. Ok, try to understand: it is not me who says so, it is German courts on numerous occassions, such having established a pretty clear guideline to this regards. It has nothing to do with narrow-minded or not. if you (not YOU personally but DeVere advisors in Gemrany) offer investment advice in Germany, you should know German laws, German rules and even more so German taxation rules which make most of the structured notes underneath a life assurance umbrella pointless anyway. Nobody I know has even weeks before the bankruptcy of Lehman Bros evere though they could go belly up. Which was a mistake as everyone knows now. Same applies to any other large bank as "guarantor" of the structured note. There is no guarantee that any of the banks you name will survice another financial crisis like the one we had when Lehman Bros crashed. Too big to fail will not be a safety line in the future anymore. But that is all neither here nor there: if you fully and transperently tell your clients: look, there is the risk that all your money can be lost in this investment if you transfer your capital from your safe UK pension into my QROPS solution and he gets that in writing (including the costs you are producing directly and with kick-backs from the funds and banks as required under most EU laws and rules) and a client still decided to do so….fair by me. But of all the DeVere advice documents I have seen, that simply never happens. I even have a recording from a call a client of mine took with a DeVere advisor in Germany who told him that structured notes where an entirely safe product. Which they simply are not. this is seriously misleading clients and the cases I know which are being just now started in Germany against such bad advice will cut thru the courts in Germany like a hot knife thru butter. Structured notes are an extremly risky investment, only suitable for very risk affine and experienced investor. Anyone who has a more conservative stance on his investments and wants to protect his capital ought not be advised to sign up with anything like that. This is what a really professional and ethically sound investment advisor adhers to. Sorry for having to point that out. I could obtain one from a couple of website here in Germany and elsewhere, but what would be the point? Even more so: DeVere tried to supress the negative publicity on "PissedConsumers" in the US with a law suit….and miserably failed so because in the US the first amendment is something precious and not easily discarded. The Japanese regulator has updated its “List of non-registered or non-authorized entities with the FSA” for the month of July by adding 4 more names. At the top of the list of new additions is: “(1) deVere Group Tokyo K.K. As you can see, DeVere Japan is listed both as violating cold-calling AND as non-registered or non-authorized entities with the FSA. So, we have violaitons in Thailand and Hongkong, now in Japan and as reported by me in teh recent past in Switzerland, Belgium and Germany. And you still claim this to be a simple oversight or mistake? I smell a mode of operation….. I have read through the comments with extreme interest. Biggest is not best. I have many years experience in financial services. De Vere sent me to Malta – at my own cost – but paid accomodation. A five day course was held including about ten others, of whom maybe two had experience in financial services. Investments was by far and away the main priority. Which goes against the title IFA (Independant Financial Advisor) as life and disability cover is for all intents and purposes not covered. Holistic planning? My foot. Most qualified for postings to various branches and countries. Not me. No boot camp for me, thank you Sir. The course trainer thought she was the bees-knees but was caught out lying – not just by me, but the others attending. They shovel drivel in. If you make it, great. If not, out. Not much time. Their reputation is scandalous and the authorities should ban companies like them, who make their sole mission to generate as much commission as possible. The deveregroupinfo.com page doesnt seem to work. Is this the correct URL? They are operating in Manila, Philippines now too….watch out! I’ve just signed up with this company to move my pension funds to a QROPS arrangement including an investment bond. I’m getting really worried now, reading all this negative stuff about the firm and that investment bonds are only advised because they pay high commission, when my advisor told me they don’t get paid by commission. Does anyone know if this company are properly regulated in France, as I have been told they are? I haven’t been given any information about any ‘cooling off period’ so I don’t know if I can get out of this arrangement now, without it costing a lot, having signed only a couple of days ago? I’m no expert, this thread started from my frustration with their sales methods. However, common sense would suggest that they’re getting a commission and/or fees from somewhere (i.e. you) along the way. I doubt they aren’t just advising out of the kindness of their hearts. Product charges same as going direct – no broker fee or ‘service’ charge. Speak with your adviser if you have any concerns. Do not touch this company (or Blacktower, a clone) with a barge pole. You invest then see the value if you cancel a few days later and realize their aim, to write lump sum investments. Their agents know nothing about life or disability cover. They churn out advisors and discard them just as quickly. Ask what their agent turnover is. Why are they hiding behind other companies to access clients in Europe. And the sexual harassment at Blacktower? I have not given my correct email because of recriminations. Deb, put on hold immediately making any moves until you have all your questions answered. Ask deVere for full disclosure of all fees and commissions involved in their recommended course of action, including not just deVere’s compensation, but all the fees and commissions associated with the QROPS plan, any insurance provider (such as R360, Generali, Skandia, etc), the products they are suggesting (structured products – understand fully what these are and their high fees, the upfront commissions of the mutual funds inside the insurance plan as well as their annual running fees, etc). Please post back what you learn about all the fees and commissions involved and whether deVere’s is regulated in France here. I used the name and email which are fictitious as both companies carry a lot of power and clout. I have written to you before and am worried about recriminations. Was an employee. If you want to cancel, do so immediately. It will take them a while to process the application. It will also take a while for your current pension provider to transfer the assets. What platform did they use, was it an Old Mutual Bond? If so he will be paid commission. A question. Should someone find themselves in the situation of needing/wanting to cancel, are they able to stop the transfer by contacting the existing holder of the funds? We will always respect anonymity. Deb, checking the regulator in France’s website – I don’t see deVere France listed as being regulated. deVere UK has some cross-border permission to do business in France, but you’d want to make sure that you are working with deVere UK and its people (check your service agreement). On fees/commission, there are multiple layers you’d be paying. There are ongoing QROPS level fees, then ongoing insurance policy level fees, then the fees/commission of the underlying products inside the insurance policy (both initial charges and ongoing). Get a full breakdown of all of these fees. Some of it ends up in deVere’s pockets, some in each of the other entities along up the food chain. Pension transfers typically take 6-12 weeks to complete so yes you could just contact the transferring out scheme and tell them to block it, but as I said do this ASAP as the bonds have tie in periods and exit penalties, once it is in, it is in. I didn’t realise these replies were here, sorry. I did find DeVere France on the UK database as being authorised for dealing with insurance. They are registered in France for insurance and pension products under one guy’s licence number. The address he used in his advice letter is on the DeVere website and there are testimonials on there for him so I’m trying not to worry that he doesn’t even work for the company. Yes, it was an Old Mutual European Executive Investment Bond. I started worrying when I noticed that his advice letter actually advised me to use the Old Mutual European Portfolio Bond but the brochure he gave me was for the EEIB. When I looked up the difference, the EEIB isn’t available in the UK, which make me worry that it’s because it’s somehow been outlawed there. I’m really worried that my funds may somehow have already gone. Is there any chance my pension providers in the UK would have transferred the funds that quickly, when I only signed on Thursday afternoon? Ironically I was originally working with Abbey Financial Solutions who are based in Spain and this guy told me that they weren’t regulated in France and so I should work with a respectable company like deVere, who are. It takes a while to transfer so contact both your existing pension provider and Devere if you want to stop the transfer. Pension firms are notoriously slow at transferring out so it would be unlikely they have started the process. Just for your information, the Old Mutual Bond pays 7% up front commison, 4% goes to the adviser. So for a £100,000 pension that is 4k in his back pocket. Nothing necessarily wrong with this but it’s shocking if he isn’t declaring this. How much is your pension worth? Is there a reason you are doing a QROPs rather than a UK Sipp?? Sipps are cheaper. In the first instance, speak to your adviser with any concerns, there is a cooling off period but base any decisions on facts. Much of what you read in blogs for example is opinion and rarely will you find evidence to support claims made. DeVere offices world-wide are part of the DeVere group. Each office is also an individual business which is registered in the local territory. https://www.devere-group.com/footer/RegulatoryDisclosures.aspx in France and Spain for example, deVere have professional indemnity insurance in the locality plus the financial wealth to pay redress when mistakes happen and inevitably they do. Speaking as an adviser from DeVere Spain, the pension trustees used are registered on the ROPS list with HMRC, the bond providers are independent from deVere e.g. OMI, SEB etc etc and charges are transparent. In fact where other firms charge a ‘Service’ fee or ‘AMC’ deVere generally do not – Due to size, deVere negotiate larger fixed fee deductions from the providers themselves. You should be provided with all the terms and conditions and charges relating to the products you have chosen even down to individual funds. I noticed several comments on here encouraging you to cancel your application – I would encourage you, as Andy has done, to consider how the charges with deVere compare to other firms and ask your adviser for clarity. If the adviser is unable to explain the charges or confirm them in writing, I would be concerned. Also compare the charges to those on your UK pension fund – we seem to forget that the UK adviser and providers all make money from somewhere, ask your scheme provider for a breakdown of charges too. As a direct result of your comments here, a DNLI or “Do Not Linked-In” list has been created within DeVere Spain – I will add your details. Hopefully you have not had any phone-calls since we last spoke? Phew, all cancelled. I’ve confirmed too that the advice he gave me was bad for me personally, incorrect in some respects and misleading in others. I’ve found out so much bad info about this company this weekend I’ll be steering clear of them from now on and I recommend everyone else to do the same. Incidentally I’ve spoken to a proper French qualified and registered and also UK qualified independant financial advisor this morning and asked what they would recommend and though they said now is a bad time to do it (best wait until I’m 55 so I can take the thirty per cent out before investing the remainder, so I don’t end up paying fees on it for the ‘initial period’) that if I did do it, they would recommend basically what Abbey Financial Solutions discussed with me, though their fees for it would be cheaper than Abbey’s and they have a better agreement with the provider about taking money out with no exit fees. SIPPS wasn’t even mentioned – he said I really needed to get my pension fund out of the UK. He specifically said he would receive no commission and I’ve had this repeated to me since, so are you sure about that? I’m not sure I should mention the value of my pension fund on a public thread but I’ve since read that it’s not enough to consider a QROPS, though he said it was well over the amount where I should consider it. Could you get my email address off Alan so I can be more specific in private? Deb, your email is not visible anywhere in the thread. Nor is anyone else’s. Please could you clarify who Devere have negotiated fee deductions with. Ie which providers? Please do not print my name. Another company to investigate is Blacktower, virtually a clone of De Vere and who have quite a few ex-De Vere employees working for them, eg Paul Howard, Mgr Italy, who has not retained one employee he has hired but either fired them or told them to resign. And I have been told by an ex-Blacktower employee there were sexual shenanigans in their head office not too long ago. Howard, of Italy, has huge upfront fees directly deducted from client capital. And never writes life cover, disability, even when it should, but aims only for the lump sums. I would like to thank Alan Gandy for the opportunity to comment on this site however similar to many posts by adding comments, with evidence, to balance some of the criticism posted simply provides the opportunity for others to post disinformation for their own commercial benefit – for example, citing licencing issues in Thailand and a case relating to a single individual based in the USA as a damning indictment toward all DeVere advisers – Now Blacktower seem to be receiving the same, anonymously of course. @ Deb, hi Deb, an example of fees would be with Provider X, the direct charge to you would be Y without using an IFA. With DeVere, the charge to you would still be Y however a percentage of Y goes to DeVere. In terms of fund charges, the same as you will find on Morningstar or Trustnet – again, the IFA gets a percentage. Agreed, it may be that DeVere gain a larger percentage than other adviser firms but this is due to its commercial strength and has exclusive products with the largest fund managers like Morgan Stanley and Goldman Sachs, JP Morgan and UBS for example which clearly is an advantage for the client. This will be my final post. I would simply ask anybody making decisions based on comments look at the facts and genuine evidence. Check the qualifications of your adviser – (example, I found an adviser recently claiming to be a graduate of Harvard business school with a degree in economics, his certificate was false) and check the registers of the regulators in your area. Check the source of any information you chose to process as fact. Should you have any concerns ask for evidence and speak with your adviser. Thank you once again Alan and all, I wish you well. @Chris, Hi Chris, to clarify – the fee to the client with the providers mentioned in my previous post would be the same as going direct. For example a bond provider charging 1.5% per annum for the first five years, the charge would be the same to the client going through DeVere, deVere do not add a ‘Service’ charge but does receive payment from the provider. The individual adviser remuneration is the same from provider to provider to avoid bias. I cannot list all the providers, there are too many. …and no, no phone calls thank you. I wasn’t that lucky…….. I invested through a “good friend” in Mallorca in 2007 who worked for DeVere & Partners, and have now lost more than half my investment(55K) and built up a commision debt of more then 7000eur according to last fact sheet from OMI. My lawyer sent his letter by burofax to DeVere Spain who answered they had nothing to do with this investment as they were registered in Sep 2007 and I invested in May 2007. OK let’s put some meat on the bones. The following applies to Blacktower, AES, Devere, Continental Wealth and Blevins Franks, hereafter, the FA(Financial Advisory). These companies should all be avoided! Here’s why. Firstly, they do not use qualified advisors, they use ex-salesmen to sell financial investments wrapped in an insurance wrapper. Why? Because they aren’t regulated to offer financial advice, only sell insurance, so they have to put their financial advice within an insurance wrapper. Firstly, this wrapper costs clients a HUGE amount – 1.75% per year – which results in an upfront payment of 6.5% to the firm selling it. Secondly, rather than being independent, these FAs use their own ‘approved’ funds. What this actually means is charging the clients an unnecessary fund entry charge of 5%, all of which goes direct to the FA, to buy a fund which hasn’t been chosen because it’s any good, but because the FA have an agreement in place with the fund house to sell this fund and for that entry fee to be passed onto the FA. For this fund you’ll pay another annual fee, around 1%, half of which will go to… yes, you’ve got it, the FA firm! Adding up. In nearly all cases these fund houses form relationships with the FA because they wouldn’t be able to sell their funds any other way, because they simply don’t compare with better managed funds. Not done there. Some of the above firms also feel it’s appropriate to charge an annual advisor fee… add another 1% onto your annual bill. So, Mr DevereIFA, you’re posting on this forum claiming to be open and honest about regulation, cold calls etc, but you’re failing to explain what the serious problem with your company is. Funds that make no money, coupled with fees that add up to as much as 20% over a 5 year period. So even if your funds made 4-5% a year, which in most cases they don’t, your clients still wouldn’t make any money, which is surely what they came to you in the first place for? The problem those FAs are creating, is that because Spain has complex tax, inheritance tax etc laws, people genuinely need financial advice and should benefit from it. But there’s so little trust connected to financial services that the legitimate companies find it very hard to gain the trust of their clients, and ultimately people in Spain end up breaking the law regarding their finances because they’re afraid to seek professional help. There are honest FAs out there. My advice is due diligence. Ask for all the fees to be written down on a plain piece of paper and signed by your FA. So the bond fee, if you have a bond (these are very useful in Spain if from a reputable supplier with low fees), the fund fees (one trick the above FAs use is they add the funds a month after you’ve signed up and don’t tell you about the fees until it’s too late). Fund fees should state an annual charge and whether or not there is an entry charge. Also check whether or not they will expect an advisor fee on top. My advice would be total fees should never exceed more than 2.5% PA averaged out over the first 5 years – including any advisor/set-up fees. So get all the fees for 5 years, add them up and divide them by 5. If they’re over 2.5% PA then ask for an explanation. FAs and the Finance Institutions have to earn money, but fees in addition to this are totally unnecessary. There’s no need for greed. Ask for details about the investment recommendation BEFORE you sign anything. To reiterate, all fees, fund performance, size etc. I would personally only use funds from large, well known companies with a track record. Fund performance often relates to risk. You want to see steady, consistent returns, 6-8% year on year, possibly even lower. Don’t be seduced by returns over 9% – the only way these are achieved is through higher risk. Unless you are prepared to make losses these won’t be for you. If you’re careful you can still get good financial advice out in Spain. My charging structure was called AV279 and this policy was a Skandia(OMI) product. Funds are still frozen. When I asked DeVere, OMI and Frontier the difference between frozen funds and funds closed to dealing, I never get an answer. Since 2008 these funds have not been trading , half the value has disappeared, so what is there to be managed? All I can say this was a very unfortunate investment for pension days. Oh deVere….I worked for them for a very, very, very brief period. Now, I’m not saying all advisors there are bad, there are a few who have great experience and genuinely care for their client’s and don’t just vanish after astonishingly high commissions are in their back pocket. I now work for another firm, where we unfortunately have a lot of clients approaching us to recover the affects of poor and advice on their pensions provided from deVere. Not all advisory firms are bad though, just some due diligence on the firm needs to be taken when getting advice or being approached:) Stay safe out there! I was contacted by deVere a few years back, they had called my company switchboard and asked for me. They claimed that they had been mandated by my employer to help expats with financial advice, and had been given my name (yet still had to call the switchboard in a city hundred of miles way to reach me?). Their claim was a lie, I checked with our personnel group who had never heard of them, nor any such mandate. Based on the almost simultaneous attempt to connect with me in LinkedIn, I assume they’d got my name from there and simply called head office on spec. I had taken their first call, and told them I wasn’t interested, but they have made repeated attempts to reach me. Initially through the switchboard but when I persistently refused to let the operator put them through they now seem to have my direct line. So far they don’t seem inclined to talk to my voicemail, so I’m happy to let them waste their time. If their harassement gets more direct I’ll report them to our company legal group, who are not shy about dealing with shysters. I have no idea whether devere are the Ponzi-scheme scammers they are reputed to be, or simpy pushy used-car-salesmen types who’ll stop at nothing to get a sale, but either way I’d recommend avoiding them. I strongly suspect that if and when their schemes go wrong, the last we’ll see of them is their dust as they head for the Bahamas with everyone else’s money. I lost a shitload of money to these lying scoundrels! This happened in 2010. After trying unsuccessfully to get some reprieve, I finally gave up, and simply decided to let it go. Over the years, I’ve seen literally hundreds of reviews, complaints, rants and raves, etc, about DeVere and Generali. These never interested me. What did interest me, however, were those individuals who decided to stop talking, and actually take some action against these fraudulent companies. When I was seeking “reprieve”, I actually went as far as hiring a lawyer in London. I myself reside in Sweden, but I decided that a UK-based lawyer would be in a better position to put the screws into these clowns. My lawyer was ready to take on the fight. But, he advised me that it would not be worth it — mainly because : the cost of the legal battle alone would be 2 or 3 times more than the money what I had lost to DeVere. His advice : find other people like myself, who also lost their savings………..organize ourselves into a group……….and launch a legal fight! This way, we could all split the legal costs. And, more importantly, DeVere would have to take us seriously if there were a large number of us beating down their door in court !! I set up groups on Facebook; I even created a website for this purpose. But, none of this ever got anywhere. Why?? Because, there were many people who were all about “talking” and ranting, and raving about DeVere. But, when it came time to step up, and get ourselves together, so we could actually DO something about it, none of them were willing to do anything! Eventually, I realized I was wasting my time, and simply dropped the whole thing. I would definitely be interested in joing your camapaign. I am in the UAE and they are very active here. i am sure there are hundreds of expats who have been ripped off by them. I have written to the BBC Money Box Live and Money Saving Expert. please tell me how I can sign up. I work as an IFA for an independent office in Spain and am appalled at the lack of qualifications and more worryingly knowledge and ethics of many of the employees of these ‘biggest in the world for a reason’ firms. If you want transparent pricing, people like myself will invest the upfront commissions into your investment and charge you an annual fee, therefore aligning our commercial interests with yours. All companies are able to do this but don’t tell you about it and don’t offer it to you as this would mean entering into a long term relationship with you as opposed to making a quick buck and leaving you to go alone in the future. Those big companies don’t offer quality, they offer a quick fix in the same way as big fast food chain like McDonalds will fill a hole by providing a generic hamburger meal deal, one size fits all product not tailored to your needs and without any service levels or recognition as a valued client. Personally I’d rather go to a nice family restaurant where the chef will prepare something that is to my taste with the best ingredients based on my needs, who will want and be interested in my feedback and will create a good atmosphere and level of trust and respect so that I’ll want to keep going back! Your life savings cannot be replaced once they’ve gone so be very careful before you sign anything. Shop around and get second and third opinions, and don’t sign up for anything that you don’t understand. A good qualified, ethical and knowledgeable IFA will be able to explain both the product that they are recommending as well as the reasons for choosing them for you and should be able to do so in layman’s terms and if they can’t I wouldn’t trust their judgement. Don’t invest in anything that you are not 100% confident with and take your time to feel confident with them, ask as many questions as you can, it may be a bit geeky but real professionals are actually very interested in their field and love to educate others too. Many companies use salespeople who have only limited knowledge of the products that they are recommending based on sales pitches provided by their management and training teams. You wouldn’t buy a car from someone who knows little or nothing about them so why would you chance your life savings, children and grandchildren’s future on the advice of a salesperson? Be smart and don’t ever be pressured into signing something you’re not 100% happy with. If people try to push you or tell you that the product is only available for a limited time then that is a sure sign that they are trying to pressure you and don’t want you to seek a second opinion as they’ll be found out for the fraudsters that they are. For the underlying investments that will make up your investment stick with well known names and if you are not an experienced investor steer clear of structured notes (the IFA will get upto 7% commission on these) and any alternative funds that don’t have daily pricing and cannot be exited at any time (these too have high sales commissions for a good reason, they don’t sell themselves). Choose someone who will give you regular reviews and who will keep an eye on your investments and keep you up to date on their performances and any changes that you could consider for them. You are going to have to pay fees at several junctures, this is an unavoidable part of investing, however the amount you pay and the way it is done varies drastically. Tracker funds offer lower maintenance fees and historically outperform more expensive actively managed funds and such ones as as FTSE 100 tracker fund is ideal for low maintenance long term investors. My pricing structure is based on an on-going advisory fee on the overall total of your funds so the better they perform the more I earn which makes it in my interest to get the best performance for you as possible. Also by paying the commissions from the tax wrapper providers to my clients, I create an instant uplift in the value of your investment, lay the foundations for a long term relationship and make it necessary to keep a close eye, i.e. actively manage, your investments. There are a few of us honest and qualified advisors in Spain and if you shop and ask around you will find us. I’m not leaving any contact details here as I’m not touting for business but I work on the Costa del Sol where there are a number of not so reputable firms whose work I often try and unwind, I’m just trying to pass on some quality free advice to fellow ex-pats so that you can avoid the sharks that have bitten so many of us in the past! I would also join you in this campaign. Got screwed by them in Mozambique and now they had closed their offices here and ran away. deVere Spain has yet again tried to contact me. I have told them not to contact me again under any circumstances but they continue to persist. I even had some school leaver try to connect with me via LinkedIn. I’ve tweeted my outrage, but they don’t respond to tweets. This is a diabolical company. If this was the UK I’d be pursuing the FCA for a penalty. To be fair to the one deVere employee on this thread. He did contact me privately and did get us on their No Contact list so I can confirm it does exist, and it worked. Well, apart from one recent call from someone who likely doesn’t follow their own procedures on this. Lucky for them my wife answered and dealt with it politely (I would have dealt with it differently). I live in Thailand and am a client of these guys and have had a reasonable experience so far. After reading this thread I got a bit spooked and checked with the SEC, this company is registered and not on their watch list. I also checked on my advisor, turns out he is also licensed and has his own licence number that is different to the company one. Luckily I don’t only believe what I read on blogs and go and look for the real answer from the source. DeVere UAE or are they? One minute they are PIC deVere then PIC is nothing to do with deVere then deVere are in the UAE but not licensed as they are one of the few companies that when the Central Bank ceased licensing failed to get a new license just a letter saying the approval process underway – that was 6 years ago. OK, so to respond to DEVEREIFA, regardless of your apparent qualifications – tbh i doubt any reputable qualified IFA would work for devere, you fail to mention that devere have a limited fund list they can use – that is a list of less than 10 funds in the whole world that they allow their advisors to use. Those funds ALL pay hidden commissions to devere, 5% up front and ongoing annual commissions. The funds themselves are closely linked to Nigel Green, are in the lower quartile with regards performance – in other words in the worst 25% of funds in that category in the world. The only way they can encourage people to use them is to pay hidden fees to IFAs, so you guys flog them to unwitting clients who have no way of knowing they are being sold a load of rubbish at extortionate fees. How do I know this? Well I stupidly worked for devere for 3 months, but as would any moral person, i left as soon as i knew all this. How can you call yourself an IFA when you know fully well that you cannot be INDEPENDENT when your company will only allow you to sell a very limited suite of sub-par products? One of your very vocal IFAs, a XXXX of devere Spain, claims to have been working in financial services since 2005, despite having only joined devere in the middle of 2015. His previous job? Estate agent. His job before? Car salesman. On his facebook XXXX claims to look after £1m of clients money – that is petrifying!! I would add that everything I’m saying here is open source and verifiable on the internet, all factual taken from XXXX’s own facebook and linkedin. XXXX is not registered with any of the professional bodies that would suggest he has any qualifications, and non are listed on his linkedin. The simple fact is, there are good IFAs in Spain, who follow the UK model – they are non-tied, they are industry experienced and they do not receive hidden fees from fund houses so can choose the best options for their clients. Devere are NOT one of those companies. I know because in 3 months i learnt how NOT to do the job, I learnt that the first sales job devere do is on their advisors. Every month devere run competitions to incentivise their advisors to SELL certain financial products! This practise is totally illegal in the uk. Again, how can a product be correct for a client’s personal circumstances if it only sold so the IFA can win a prize? Last month the winners all got a luxury 5 star trip to vegas, later in the year the prize is australia – all for selling one particular product to unwitting clients. DEVEREIFA, if you knowingly sell this limited suite of products to your clients, knowing they are not the best funds in the world, or indeed in the top 75%, then you are choosing your own wallet over those of your clients who worked their entire lives for their savings. I hope this is a moral quandary for you. Oh and just to clear things up… devere are NOT regulated in spain. They are only registered with the DGS to sell insurance products. They are NOT licensed or regulated to give financial advice. devere are not regulated when giving QROPS advice either as this is an unregulated industry and they cannot passport their DGS regs to malta/gibraltar. They simply refer QROPS business to trusts. Basically they are life insurance salesmen who make their clients sign an investment waiver- the clients unwittingly sign away any responsibility devere might’ve had for the underlying investments. There is no thought in the investment advice, simply ‘in-house’ funds they are told to sell by Nigel Green. Ben1978, they weren’t licensed in Thailand for years and there is proof of that, also that both devere and devere Group were on the Investor Alert list in Thailand. Even now only a very few of their literally dozens and dozens of foreigners claiming to work for devere in Thailand actually have licenses. Hi Alan – I work in the industry and completely agree with your comments regarding companies ‘claiming’ that they are licensed. In some cases they can get away with it, particularly in more remote destinations….but if you want to be ultra safe check with the FCA (Financial Conduct Authority) in the UK. If a company is licensed and regulated by the FCA then they will have to conduct business in an ethical and transparent manner. 10 Years ago a “friend” Mr. XXXX from DeVere Barcelona sold me a 50K OMI insurance linked to two Frontier funds. They were longterm low risk funds linked to property in London. Some months ago I managed to get out 15K after all the mgmt fees were deducted. I have spent a considerable time trying to get info like funds portifolio etc. without any luck. When my Spanish lawyer wanted to take DeVere Spain to court, mr. XXXX said they were not the correct DeVere as they registered their company some months after I invested. DeVere Group and OMI admit no responsebillity for this investment. Of course they are not on the FCA register, the FCA only covers financial services being sold within the UK and deVere work with expats in other countries, so the FCA would have no interest in them and vice versa. You would need to be checking if they are registered with the financial service authorities within the country that they are working, in your example Spain. The fact that they are not on the FCA register is about as relevant that they are not registered with the Association of Ventrilaquists!!! for all the alternative funds and fantastic I.F.A. there are only two investments most should do. 1) Property. Preferably UK. But abroad if you do you d.d. and accept higher risks. 2) Index funds..US Vanguard. The returns on this past 10 years have been outstanding. I think Vanguard charge about 0.5% annual management fees. Shove the rest……but people love “exotic, different, complicated..” and the scammers know this. Nothing else outperforms these. Now save your-self from the B*S* and look into those two. When will my comments be PUBLISHED, so I can contact other potential candidates, who would join me in my class-action suit against Devere and Generali=?? I was scammed out of several thousands of euros by Devere & Partners, who sold me a so-called Generali Policy. This happened as far back as 2010. I know that there are literally thousands of people who have fallen prey to this scam. The problem is: a lot of people seem to want to TALK about it; but nobody is interested in actually doing anything about it. I went as far as hiring a lawyer, who was based in London (UK). Mainly because that’s where DeVere was when they stole my money! My lawyer understood my situation, but he advised me that to let it go, because: the legal fees alone would exceed the money which Generali had stolen from me. His advice: find as many people as you can, who were also scammed, and organize ourselves into a group. Then, launch a legal battle. I have been searching for anyone who is interested in taking this matter further. But, so far, have not found anyone with the balls to get up and fight these animals! As in: launching a legal attack on Generali and somehow getting back the money they stole from us. !! Alan is currently away and he is the one that approves/rejects any comments on this article. Once he returns he will approve your comment, or contact you to let you know why not. Not all comments are published due to legal reasons – but Alan is well on top of all that. Sorry that I can’t be of more help in the meantime. Anyone from Zimbabwe? lied to and misguided by Devers ? Want to thank you for this thread, it really came in useful. Was cold-called in Pakistan on Friday by a sincere-sounding, polite young salesman from deVere Malta and am so very grateful I found the comments here when I searched the web for my due diligence about them (I especially recommend the Bloomberg article that Mr. Montgomery posted the link to, it’s easy to read & comprehensive). The caller said they’d help me find out the status of my UK pension for free if I signed a Letter of Authority, & would be connected to an advisor who would charge for any services I decided to use after that, which sounded fair, but after reading about them in various articles won’t be using the group.